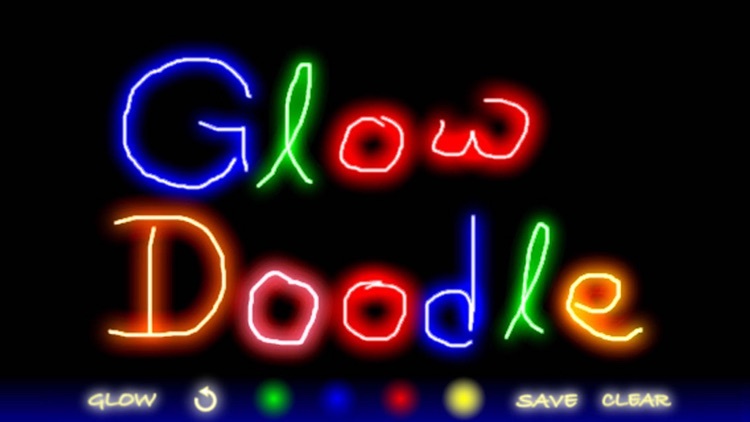 A Top 5 Best Selling App^ - The original Glow Doodle. It’s not coincidence when teachers from different schools & nations bring the same app to their classroom for art, math, language lessons^^. Glow Doodle is thankfully the choice of many teachers worldwide with an open mind for educational technology. 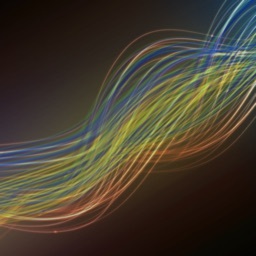 We could have allowed users to pick millions of random colors, but instead we spent tedious effort to fine tune a few. And more colors were introduced since its first launch. 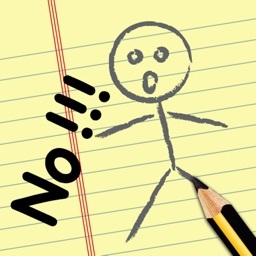 The moment when you press the "GLOW" button, you will be amazed how a seemingly ordinary drawing would turn into truly stunning Glow Doodle effect. It's a unique experience you won't find on other glow painting Apps. 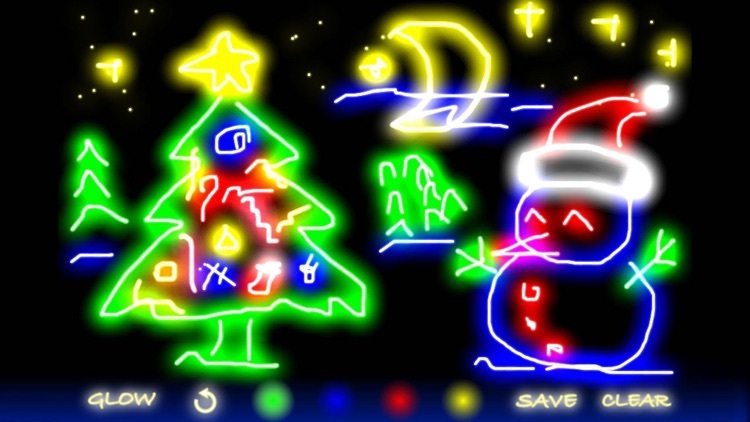 Glow Doodle is the iconic app that introduced the funny way to create drawing with razor sharp light glow effect. 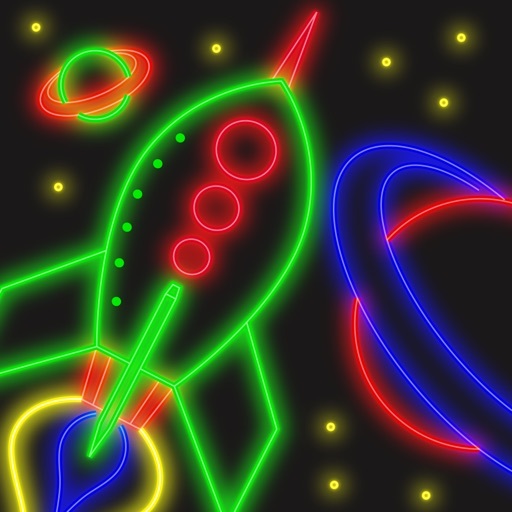 Draw on your iPhone, iPod touch or iPad with Glow Doodle, then press the "GLOW" button and watch your doodle turning into fantastic light glow effect. 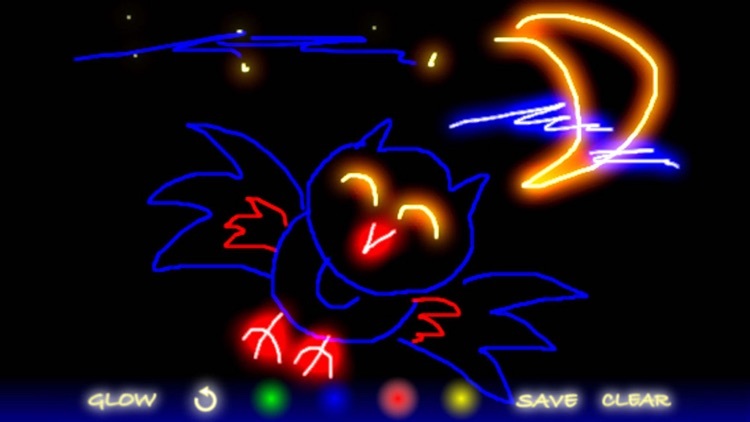 You can even save your light glow doodle to photo albums and share. NOW UPDATED with extra colors - Panther Pink, White, Magic Orange & Electric Magenta. 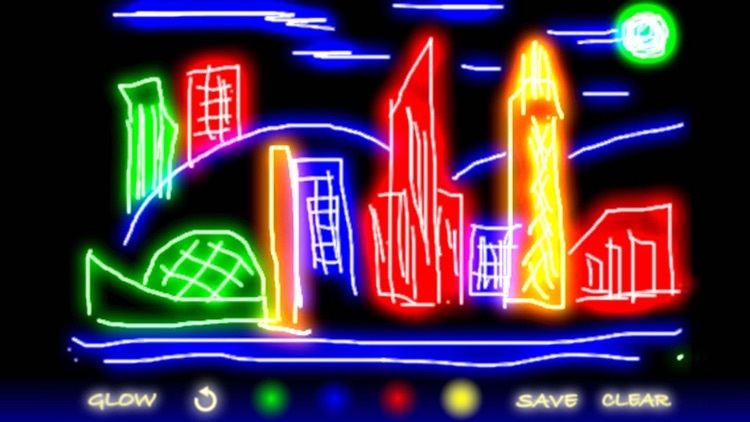 Glow Doodle is optimized for the new iPhone & iPad Retina display - making it undoubtedly among the best Apps to showcase the stunning retina display on your new iPad & iPhone! Thanks for the overwhelming support to Glow Doodle! * Supports full screen drawing on wide screen displays! 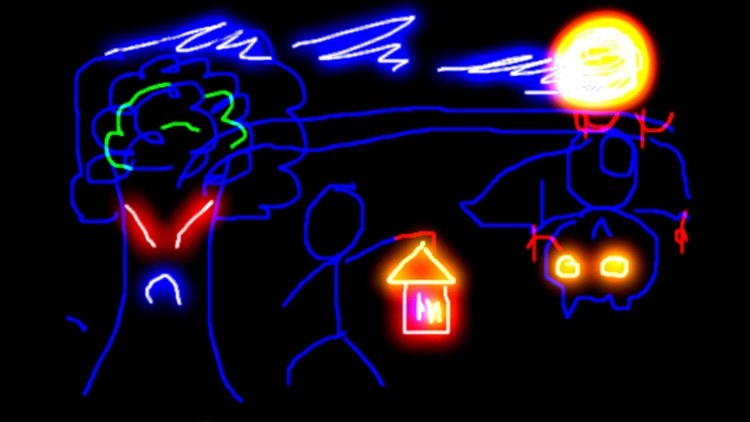 You can make part of your drawing "glow" (e.g. 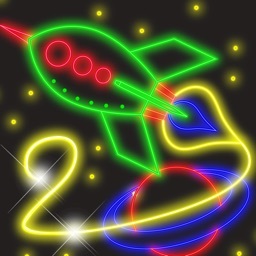 the flame of a rocket) while other part of the drawing doesn't "glow" (e.g. the rocket body). 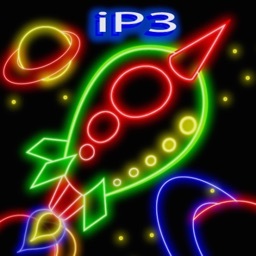 For example, (1) you draw the flame of the rocket first; (2) then press the "GLOW" button to make it glow; (3) continue to draw the rocket body without pressing the "GLOW" button again.